Since opening its first Raising Cane’s Chicken Fingers restaurant in Las Vegas in 2006, MRG Marketing & Management, Inc. has continued to grow in its home state of Nevada. With a total of 10 locations across the greater Las Vegas Valley area, MRG has committed itself to bringing residents and Caniacs alike more of the same delicious chicken fingers to other parts of the Valley. 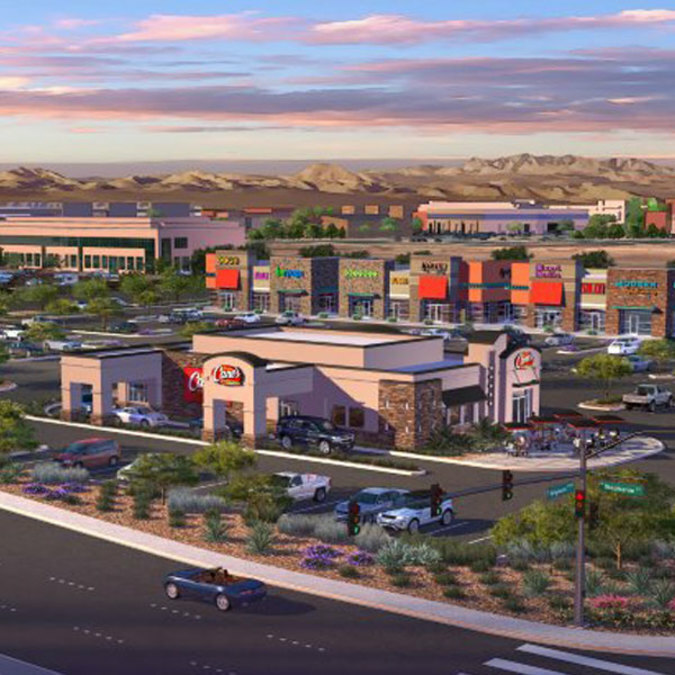 In 2016, on the heels of rapid growth, Raising Cane’s plans for more development in Las Vegas, with a restaurant opening in September on N. Decatur Boulevard in the Decatur 215 Shopping Center, in addition to breaking ground on another location set to open in December on Stephanie Street and Wigwam Parkway in Henderson. MRG has contributed to the economic growth of Vegas by adding jobs and promoting personnel to adjust for exciting times ahead. Under the leadership of recently promoted President Justin Micatrotto, MRG has also promoted Kristina Dollard to Vice President of Operation Services, Dean Bennett to Vice President of Legal Affairs and General Counsel, Tommy Dake to Vice President of Development and Mike Watson to Director of Construction & Facilities. At the core of MRG and Raising Cane’s business is community involvement. The upcoming grand opening for its newest location will continue its longstanding tradition in Las Vegas of giving back. Caniacs across Vegas can prepare for the restaurant’s grand opening later in the year on Friday, September 30, 2016, where all profits from grand opening day will benefit Las Vegas’ Three Square Food Bank and its vital programs pursuing a hunger-free community. For more information about Raising Cane’s, visit www.raisingcanes.com .